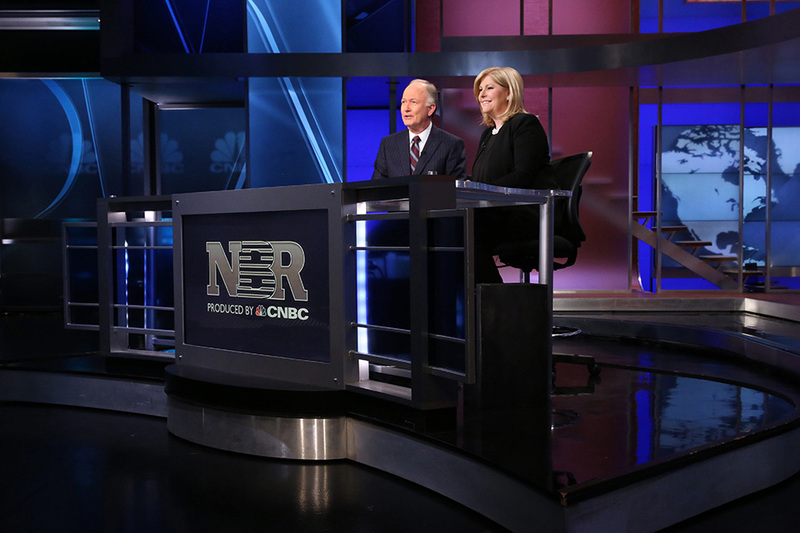 Alumni Bill Griffeth and Sue Herera appear nightly on CNBC's Nightly Business Report on PBS. Photo by CNBC. Classmates at CSUN, Griffeth and Herera bring the latest financial news to the public on Nightly Business Report. Photo by CNBC. A Matador reunion has taken one of the most popular business news programs to a new level: California State University, Northridge alumni Bill Griffeth ’80 (Journalism), Hon.D. 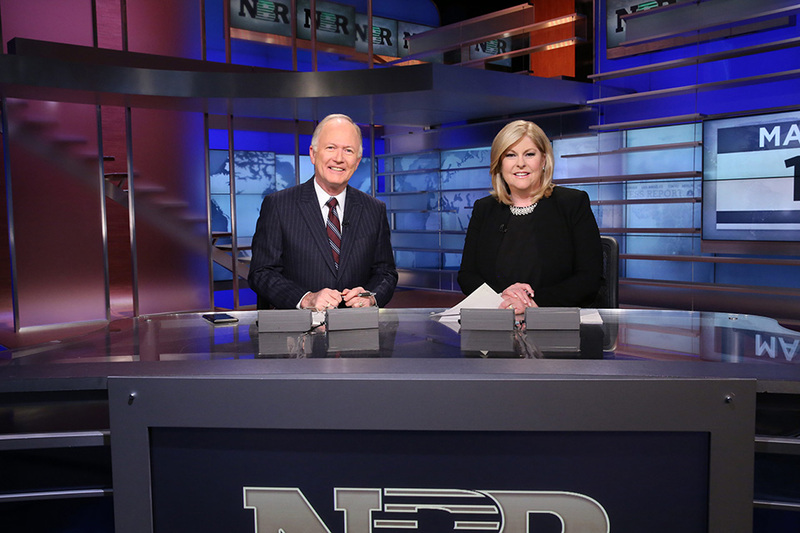 ’17 and Sue Herera ’81 (Journalism) this week began co-anchoring Nightly Business Report (NBR), produced by CNBC for PBS. Classmates at CSUN, Griffeth and Herera have served as co-anchors before. Their familiarity with each other, going back to their college days, has been evident on camera. Griffeth is joining NBR to follow Tyler Mathisen, who co-anchored the program for the past five years. Aside from the camaraderie and chemistry they display on camera, the Matador duo displays a mutual respect for each other’s talent and experience — as well as the business world knowledge they’ve acquired over their respective careers. All of those characteristics and more will come through on NBR, the longest-running business show on television.